​Chelsea striker Alvaro Morata may be forced to leave the club on loan in January following a confounding spell at Stamford Bridge. The forward has recorded five goals in 14 Premier League appearances this season, as well as two from three Europa League games, but was most recently dropped from the matchday squad altogether for the triumphant clash with Manchester City on Saturday. And now, according to Spanish Journalist Fernando Evangelio of COPE, the 26-year-old is set for a temporary spell away from west London at the behest of the Chelsea hierarchy. It is understood that the decision was made independently of Maurizio Sarri's thoughts on the situation. ️"El @ChelseaFC está pensando en ceder a @AlvaroMorata en el mercado de invierno. The striker has played 68 times for the Blues, providing 22 goals and six assists in what has largely been considered an unsettled and difficult tenure. While there were signs of a resurgence of form in October and early November when he scored four goals in four league games, including a brace against Crystal Palace, Morata failed to capitalise on the momentum. He is without a domestic goal since the encounter with Palace at Stamford Bridge, and his cohort ​Olivier Giroud hasn't been much better, with his only goal in the league so far coming at the end of the 3-1 drubbing at Wembley against Tottenham. Maurizio Sarri is clearly lacking something up front at the moment, and his decision to neglect both of those options in favour of ​Eden Hazard as a false nine could signify a change in tact for the Italian's set up. 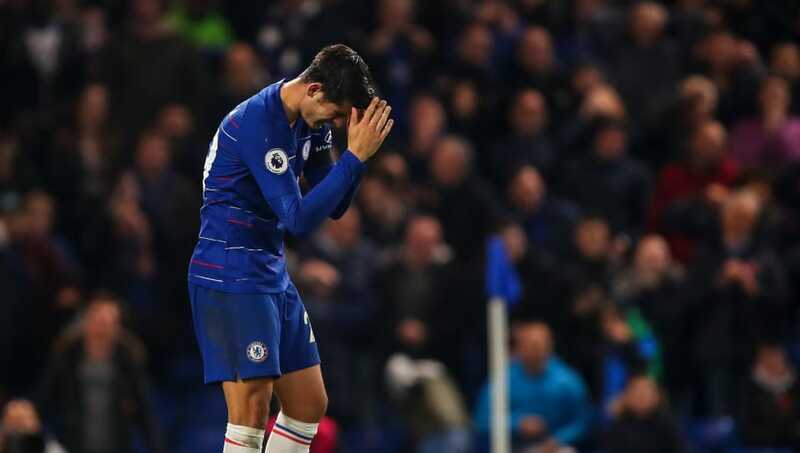 As of yet, it is unknown whether ​Chelsea would seek to temporarily replace ​Morata in the wake of his potential exit, or even recall a current loanee, such as Michy Batshuayi or Tammy Abraham.